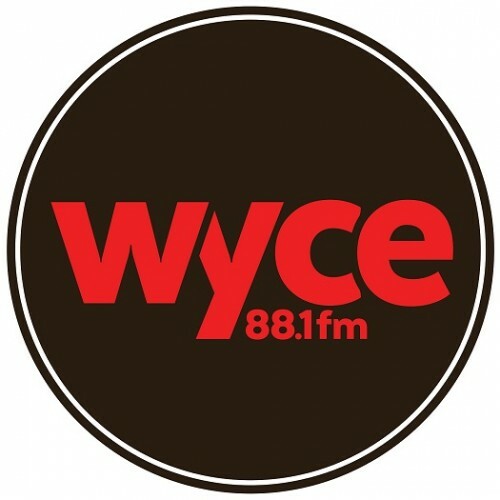 Mission: WYCE 88.1 FM is a community radio station that operates out of Grand Rapids Community Media Center. It is a 10,000 watt radio station that serves up music shows and community information from Grand Rapids to the lake shore. 11/04/2015 The Muteflutes - "Worry About the Wind"
11/04/2015 The Muteflutes - "Legacy"
11/03/2015 Ty Beat - "Talking About a Someday"
11/03/2015 Ty Beat - "See Ya"
11/02/2015 Hannah Rose Graves - "Love Shocked"
11/02/2015 Hannah Rose Graves - "Blue Jay Blues"
10/26/2015 Roosevelt Diggs - "Don't Count on Me"
10/26/2015 Roosevelt Diggs - "Worst That I Do"
09/18/2015 Catalyst Radio: WMEAC takes action for a better environment.